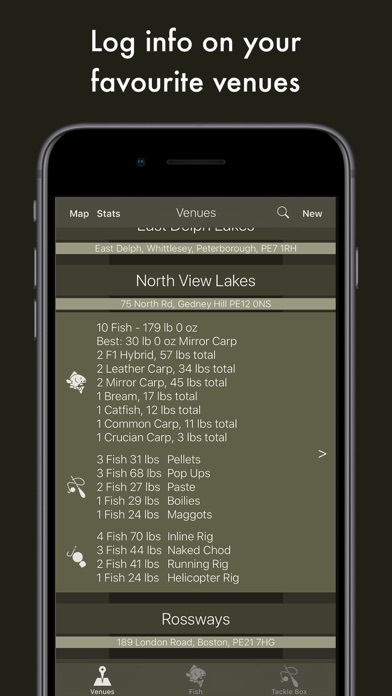 Map swims and log your catches. 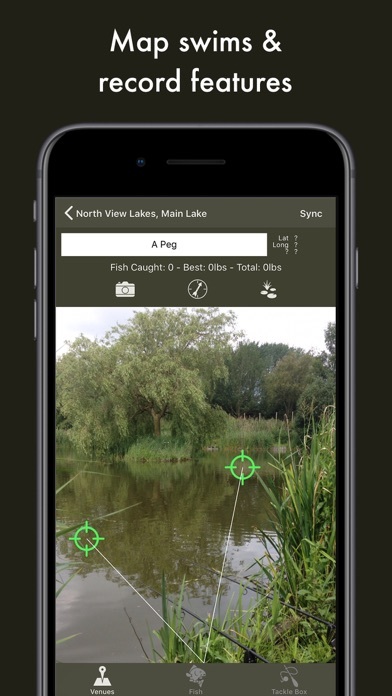 Figure out your favourite lakes and create a personal record of your local fishing spots. 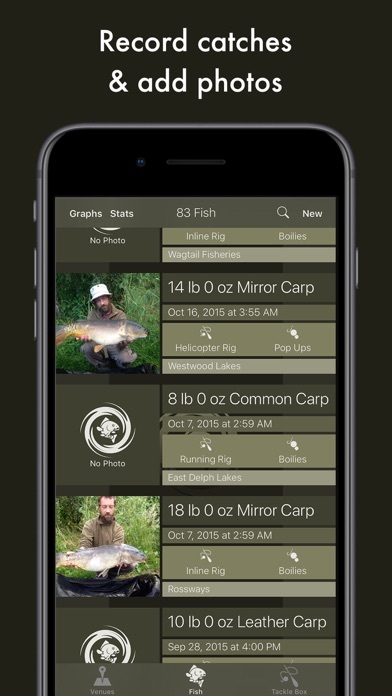 Log baits, techniques, weather and other info - Analyse the data - Improve your catch rate. 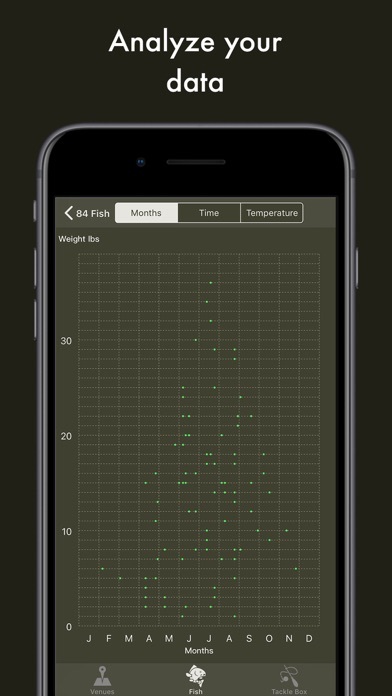 Build up a detailed picture over time and see which rigs are most productive, what times of day the fish are biting and other useful info. 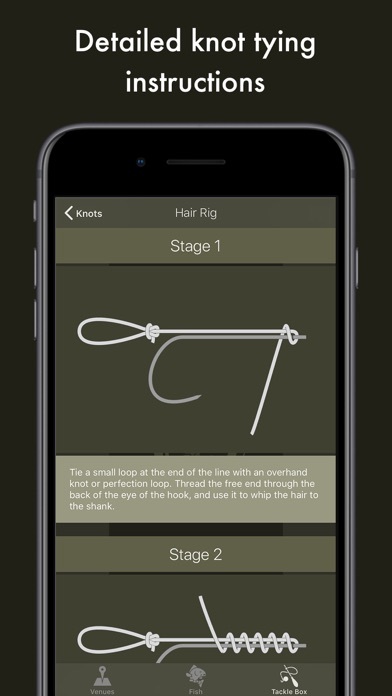 Basic knot and rig diagrams included to get you on the bank and fishing straight away. 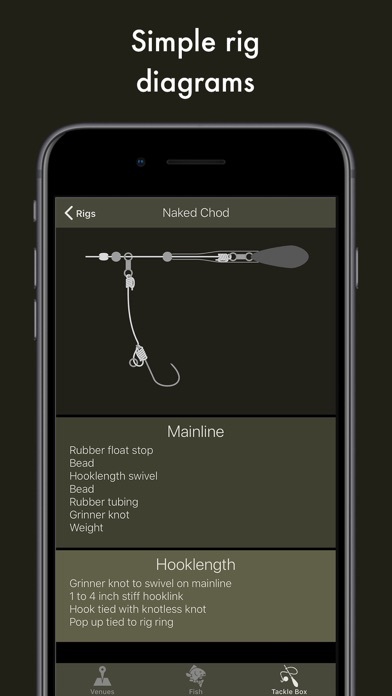 Add your own and see what catches and how they compare. No in app purchases or subscriptions, add as many pegs as you like. Any problems contact us at email@omnichrome.co.uk so we can work together to sort it out. 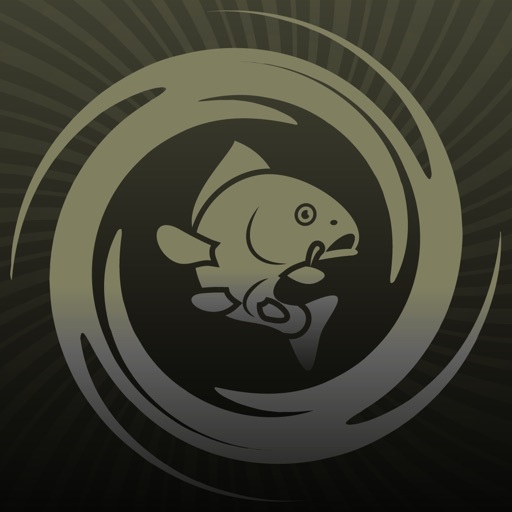 Download now and catch more fish today!